For those of us prone to stress, depression and sadness based on self limiting beliefs during our holiday season, we must be proactive instead of reactive. In this teleclass, we will focus on exploring Past Life Regression and coaching. Enjoy Mira's workshop from the comfort of your home. Experience Mira's guided regression over and over to keep moving forward in your life. This class is where I bring you the latest in my work. 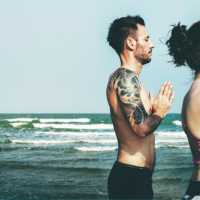 We will focus on coaching you with the EFT technique. Lets clear away what no longer serves you. Make 2017 the beginning of the fabulous you, that God created you to be. Find your power and worth. In this teleclass, we will focus on exploring manifesting. Enjoy Mira's workshop from the comfort of your home. Experience Mira's guided regression over and over to keep moving forward in your life. In this teleclass we will focus on changing the past. Experience the future through a future life progression and learn how to remember your dreams and use them to get healing and guidance. 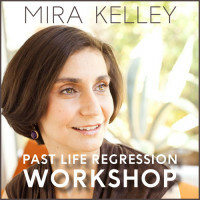 Join Mira Kelley for a past life regression workshop. This workshop is deeply fulfilling, revealing and can literally change your life! In a skilled and gentle manner, Mira will guide you through your past lives using a visualized, guided regression.